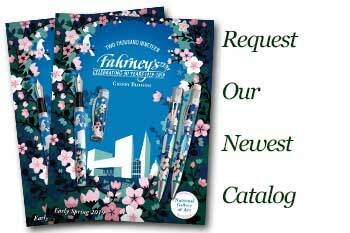 Order your SAILOR SAPPORO FOUNTAIN PEN today from FahrneysPens.com. Fine Pens, Refills & Luxurious Gifts – great prices & fast shipping. Sailor introduces the Sapporo fountain pen – a scaled-down version of its extra-large Professional series - at a very affordable price! Sapporo’s polished performance and businesslike precision get the job done right. The pens are crafted in polished black resin with contrasting metallic clip and trim finished in gold-plate or rhodium-plated silver. The fountain pen has the amazingly smooth Sailor nib in 14K gold, etched with an anchor logo. Pair it with the Professional twist-action ball pen for a powerhouse set of writing enjoyment, dependability, and professional good looks. Uses cartridges or converter.